China’s not all about clones. 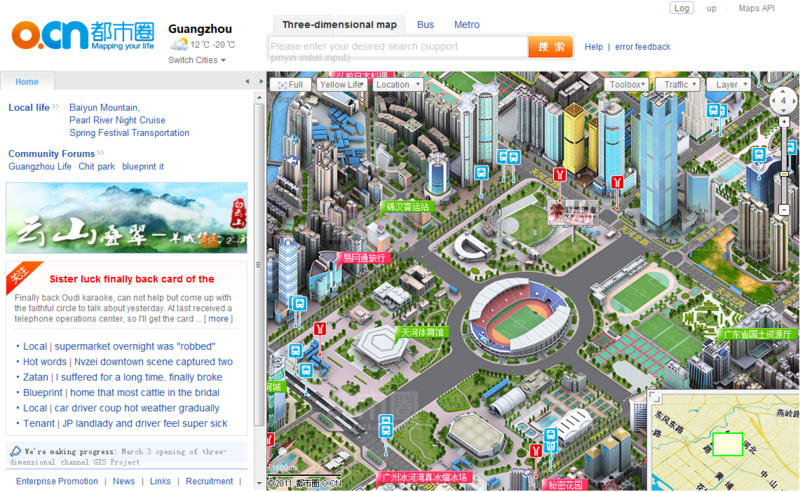 Chinese web app O.cn actually puts Google Maps to shame. 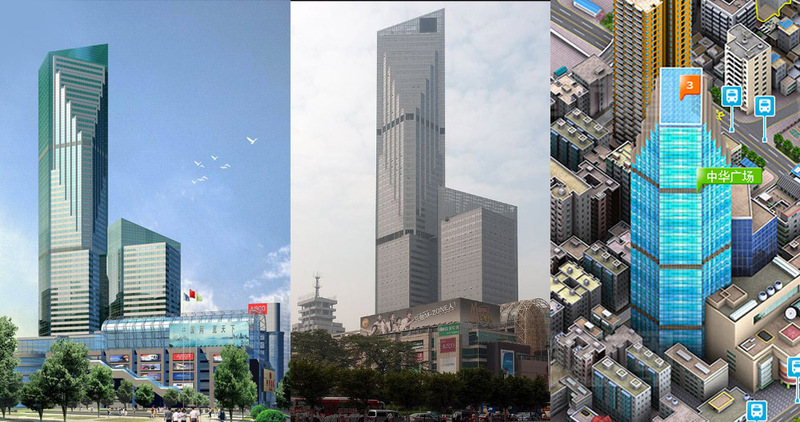 O.cn is a gorgeous 3D map of China’s biggest metropolitan cities. Aside from looking cool, it also lets users view nearby establishments including hotels, restaurants, hospitals, and shopping malls. Clicking on one of the categories reveals a list of the most popular places, complete with contact information, reviews and ratings. It also displays nearby bus stops and train stations. Scrolling over the accurately-drawn buildings displays the name of the place. Check out the image below for a comparison of one of Guangzhou’s most popular buildings, the China International Center (中华国际中心). O.cn could have been an easy, fun way for tourists to discover places to visit in China, but it’s not available in English. Google Translate doesn’t work well with it, but it’ll let you read enough to check out the website and take a virtual tour yourself.